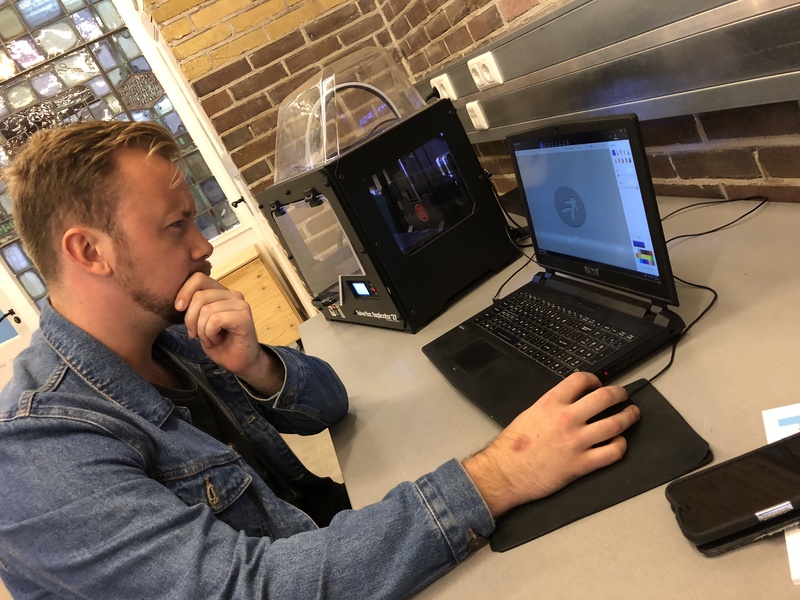 The second residency was hosted by Hanze University of Applied Arts at Academy of Pop Culture in Leeuwarden, The Netherlands between the 13 September 2018 and the 3 October 2018. The artist-in-residence programme was designed for 9 of the 16 selected artists. 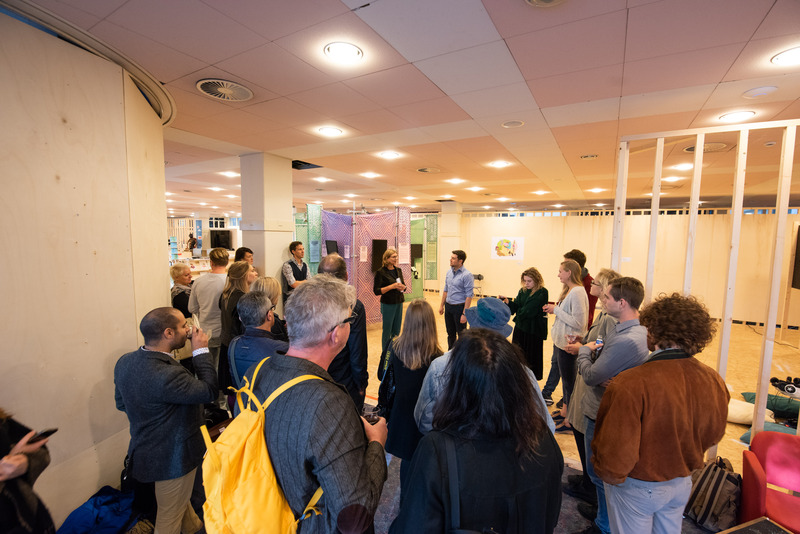 The artists explored the cultural context and artistic heritage of the European Capital of Culture 2018 Leeuwarden, disclosing traditional and creative layers of this unique city and the country in general. 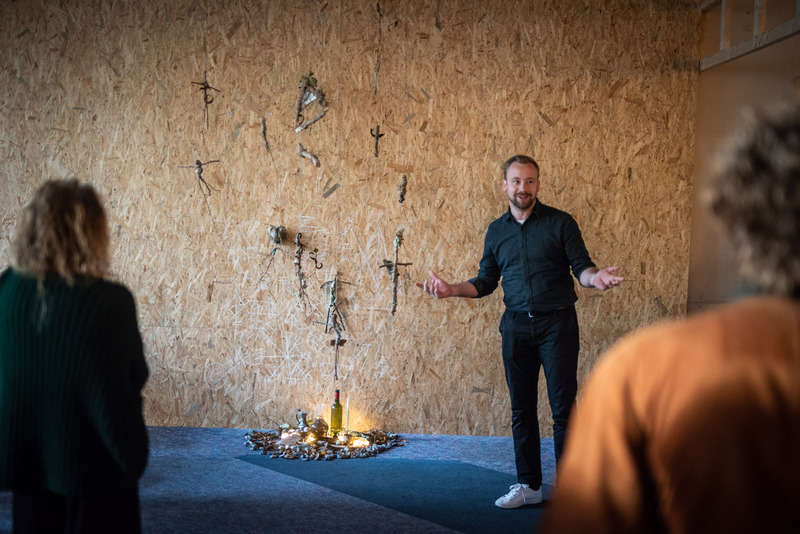 The artists participated in a number of activities such as formal workshops, cultural tours and entrepreneurial skills discussions and meetings with established artists such as Joop Mulder. Moreover they had the opportunity to research and exhibit their work during the expo opening held at the end of the residency. 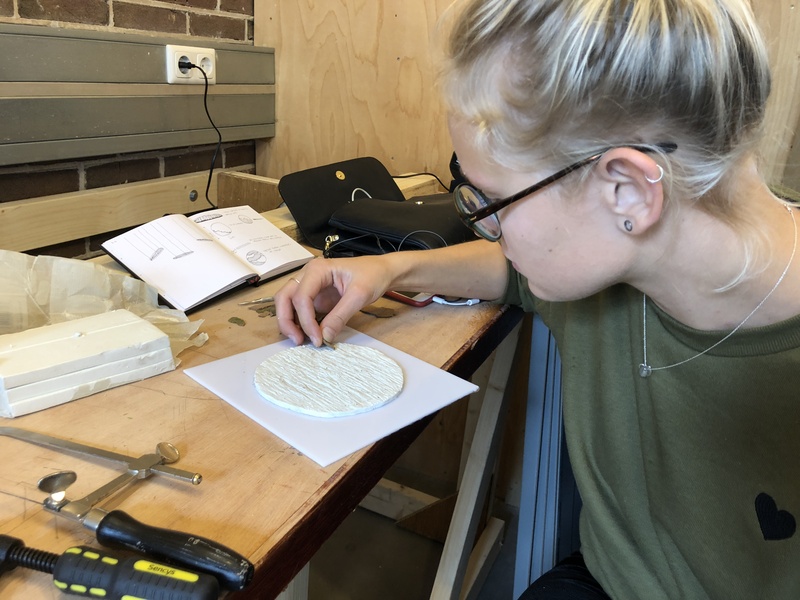 The nine artists-in-residence in Leeuwarden were Mark Buitenwerf (NL), Vilius Vaitiekūnas (NL), Laura Laasik (NL), Vera Woldhek (NL), Roberta Vrubliauskaite (LT), Kristina Gedžiūnaitė (LT), Julius Visakavicius (LT), Simone Mangione (IT) and Keit Bonnici (MT). The coordinator was Roger Muskee (NL). 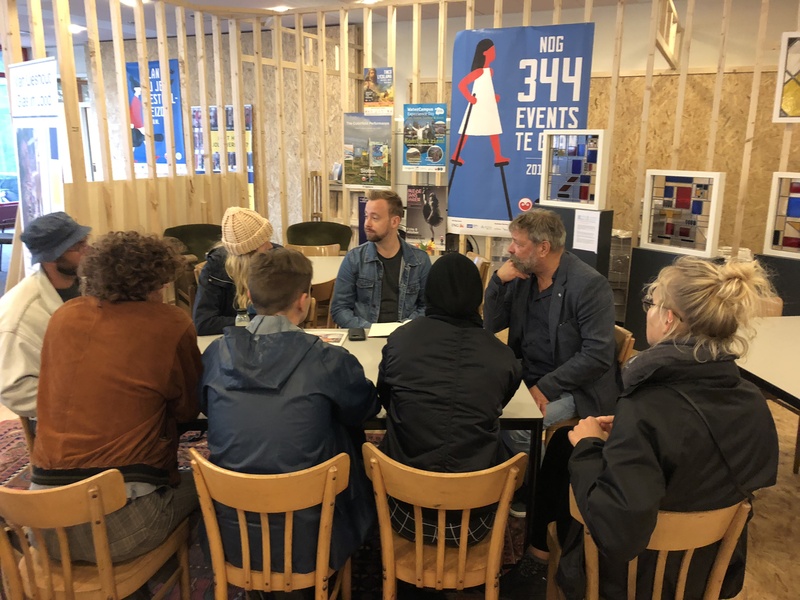 During the first days of the residency (13 till 16 September) the participating artists had their first informal discussions about their artistic research. 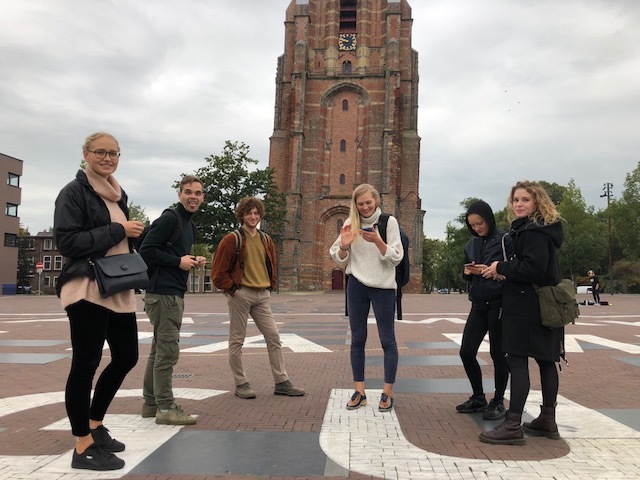 Furthermore they had a number of cultural activities and tours such as a City Walk (which included sightings of Street Art) and visits to Fries Museum, Phantom Limb Musuem, and Oldehove Tower. 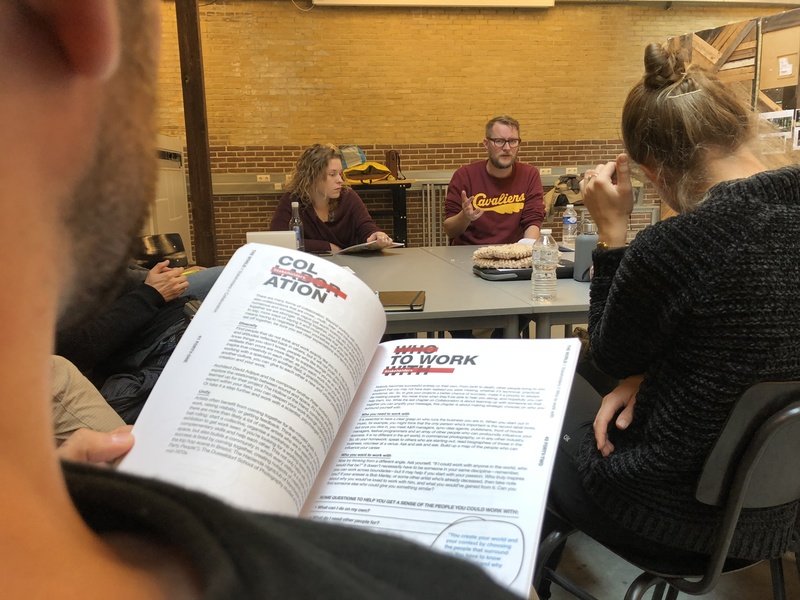 During the first few days of the second week (Monday 17 September to Wednesday 18 September 2018), the artists started delving deeper into their research and had follow-up meetings and discussions with various artists. 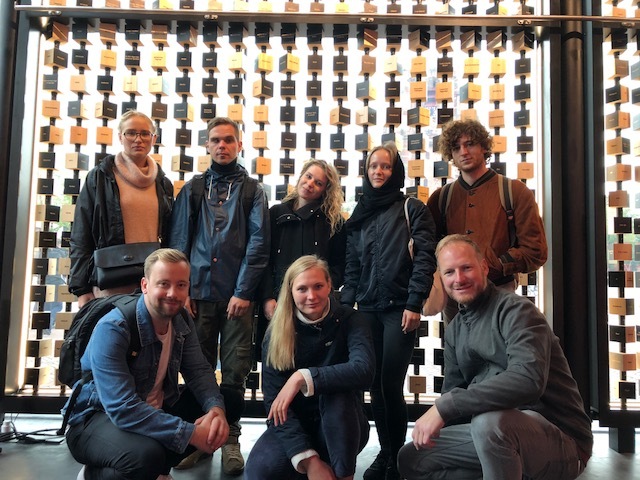 An important meeting was held at Stadsoase with Joop Mulder where they discussed their personal projects and preparations for their expo at the end of this residency. 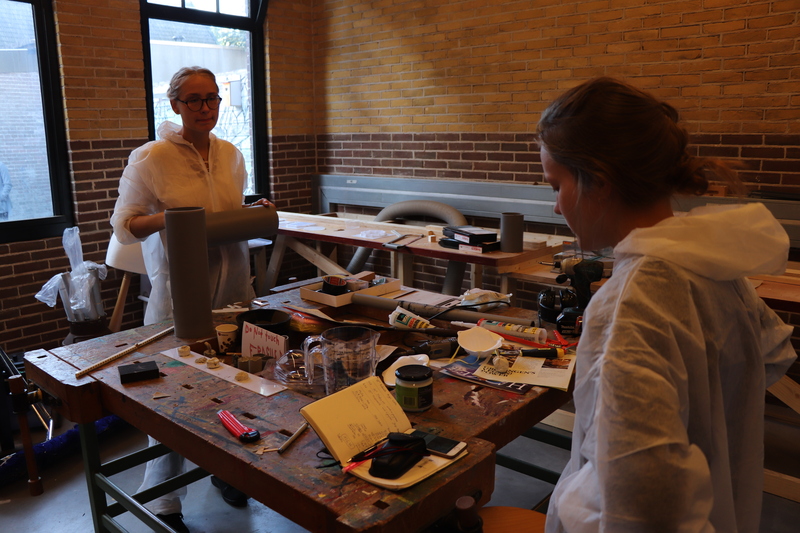 From Thursday 20 September until Sunday 23 September 2018 the artists worked on their individual sensorial projects. 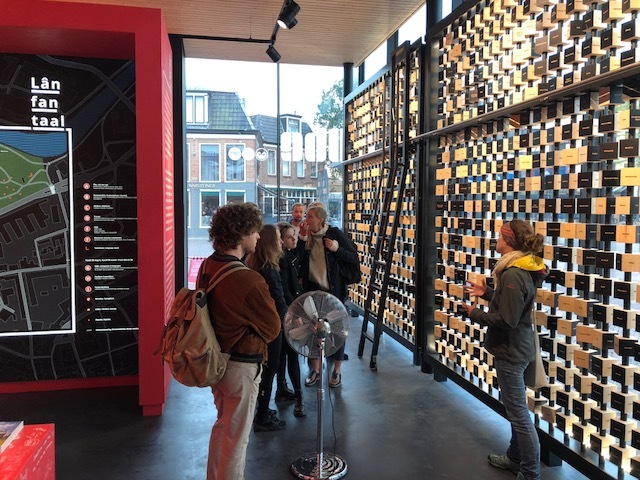 Some of the artists delved into digital interpretations using new media to feature different cultural streaks of Leeuwarden. 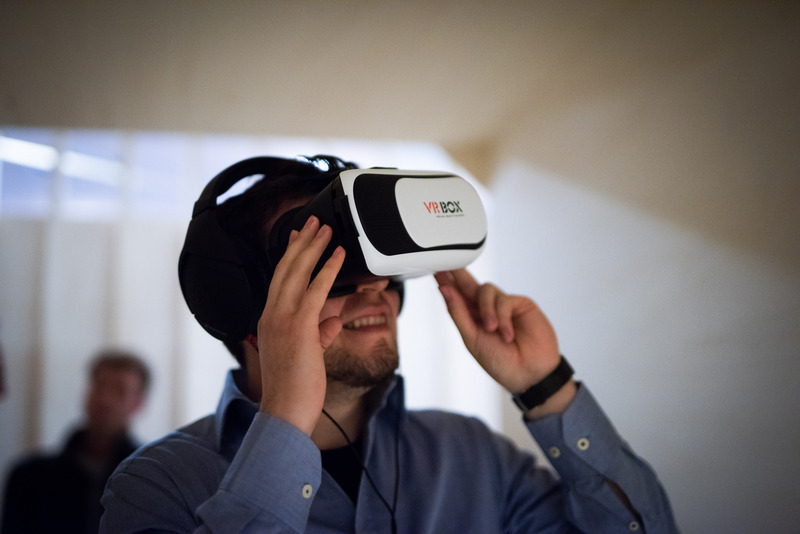 Some artists were working on Virtual Reality works, others focussed on installation and interactive new media whereas others still adopted traditional approaches. 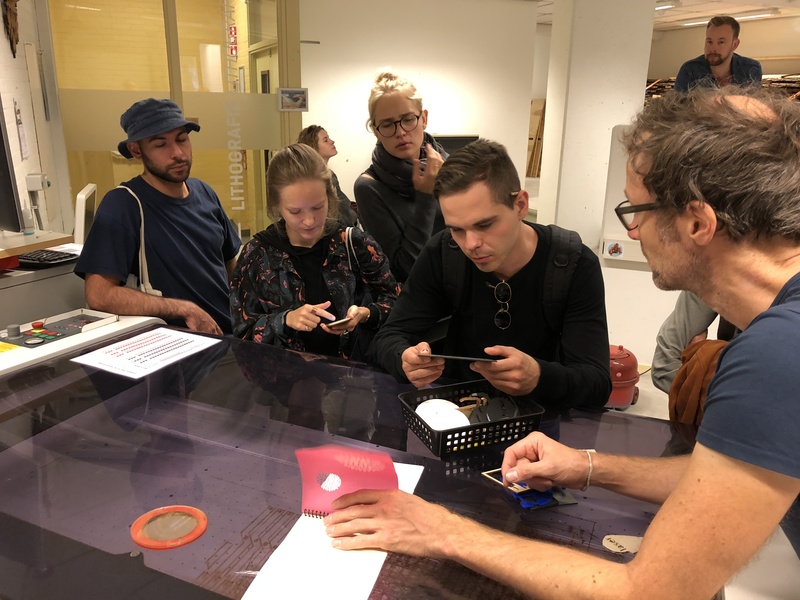 From Saturday 22 September to Wednesday 26 September 2018 the participants had a series of meetings with the Artistic Director Roderick Camilleri about their individual multisensorial research. During these workshops they had presentations about aesthetics, audience engagement and thematic-based research. Moreover, they worked on the set-up for the residency final expo. 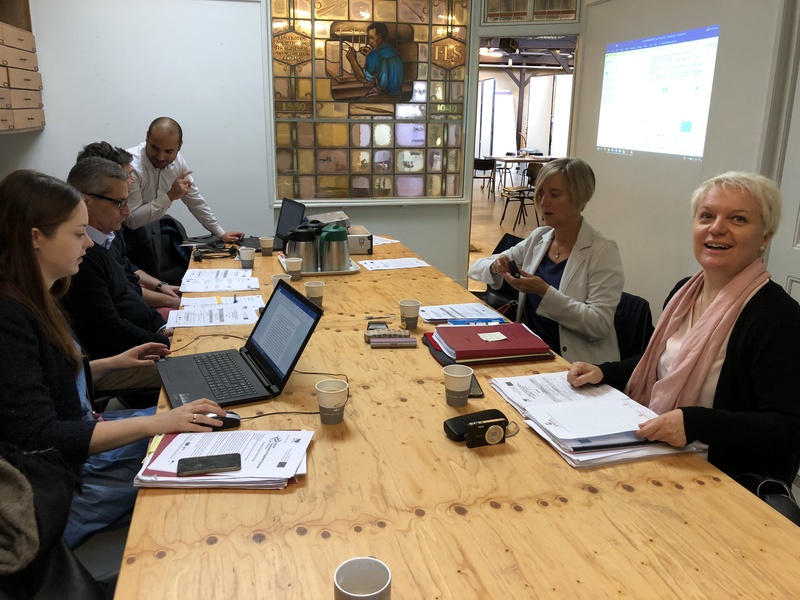 Thursday 27 September saw the arrival of the Committee members of AMuSE to hold a Steering Committee meeting about the overall proceedings and results of the project. 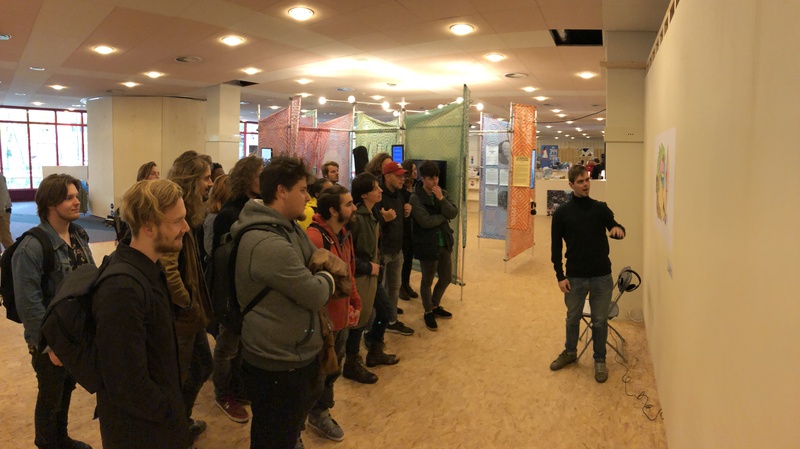 On Friday 28 September, there was the presentation and expo of the participants’ research and creative work. 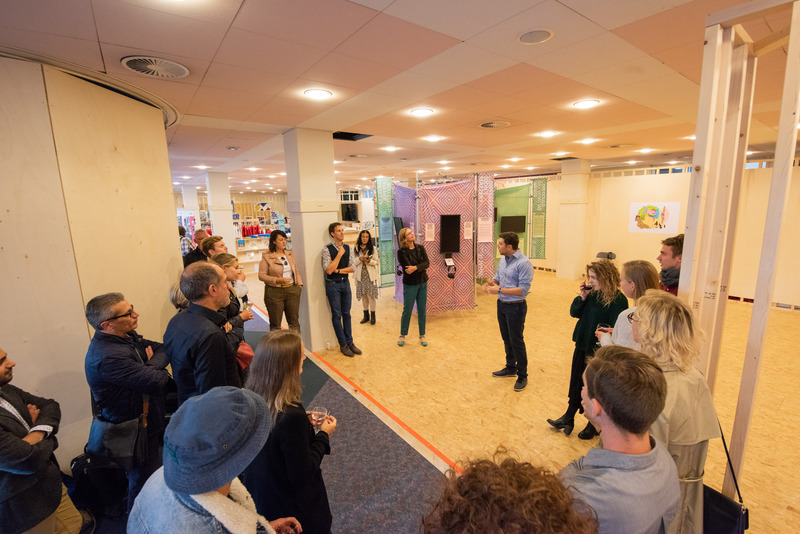 The event was held at Stadsoase Culture Centre in Leeuwarden. 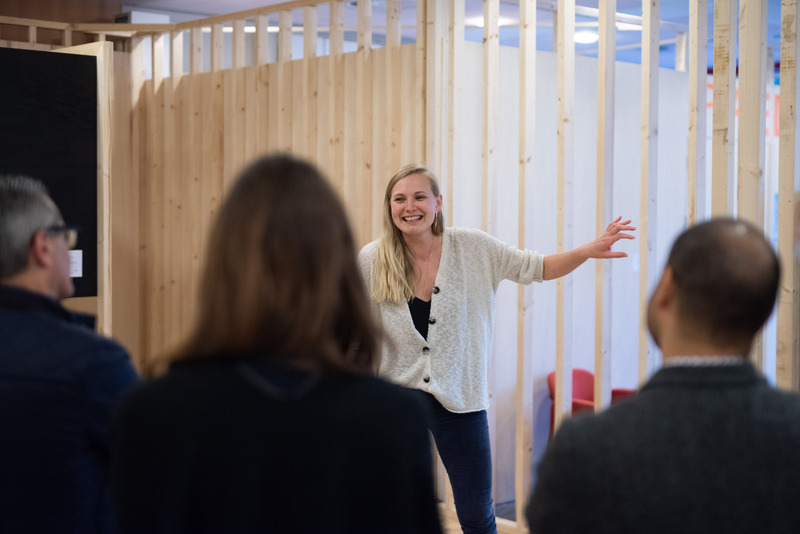 Monday 1 October was Students’ Day which was formed part of the audience engagement strategy of the project. 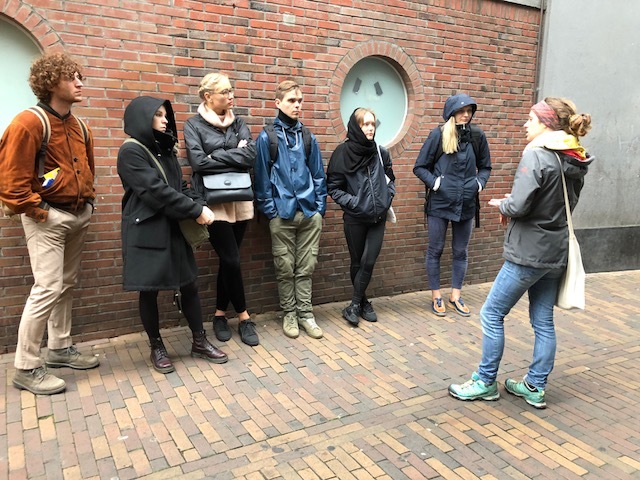 On this occasion a number of students from the University of Hanze had the opportunity to engage with the artists and discuss their work. This first residency was hosted by Le Terre dei Savoia Association at MUSES, Savigliano, Piemonte, Italy between the 12 March and the 30 March 2018. It took the form of an artist-in-residency programme for 7 of the 16 selected artists. 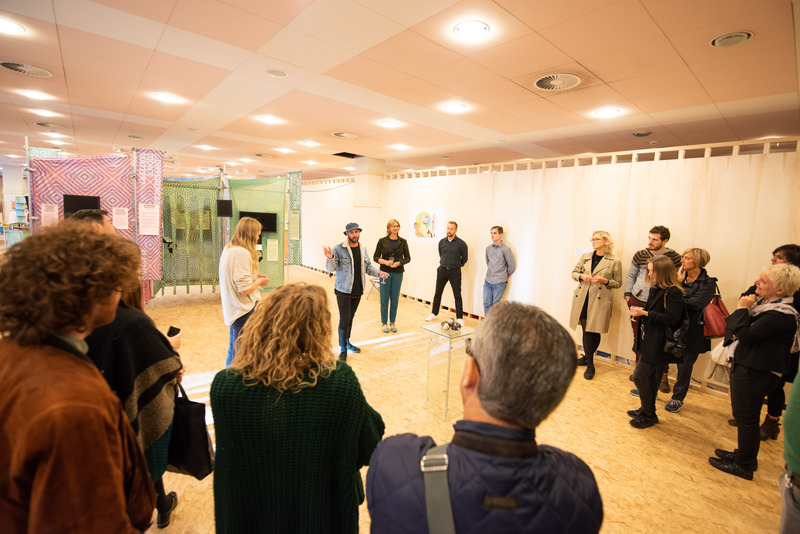 These artists had the opportunity to explore galleries and cultural/artistic spaces and had workshops led by curators from organisations based in Turin. The artists had the opportunity to create a series of works which were exhibited by the end of the mobility. 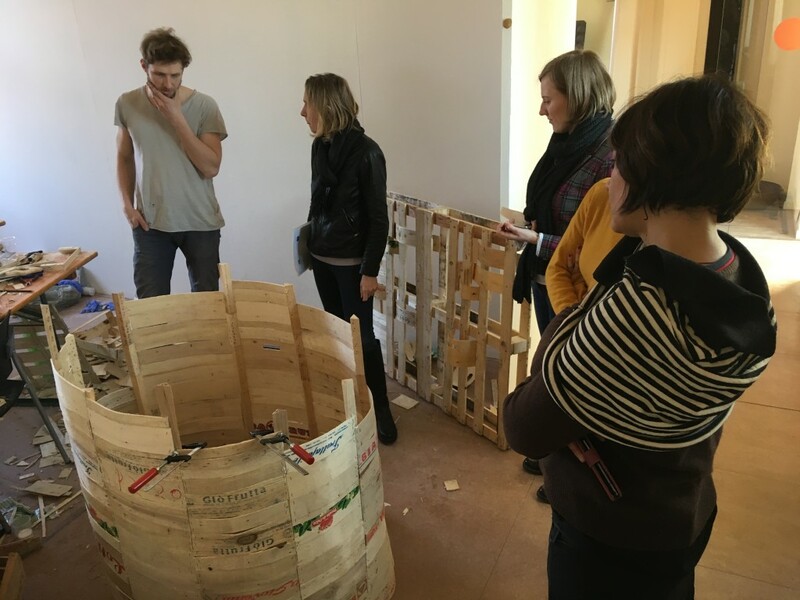 The seven artists-in-residence in Savigliano were Carmela Cosco (IT), Ivana Volpe (IT), Simone Mangione (IT), Daniele Fabiani (IT), Mykolas Sauka (LT), Stefan Spiteri (MT) and Vera Woldhek (NL). 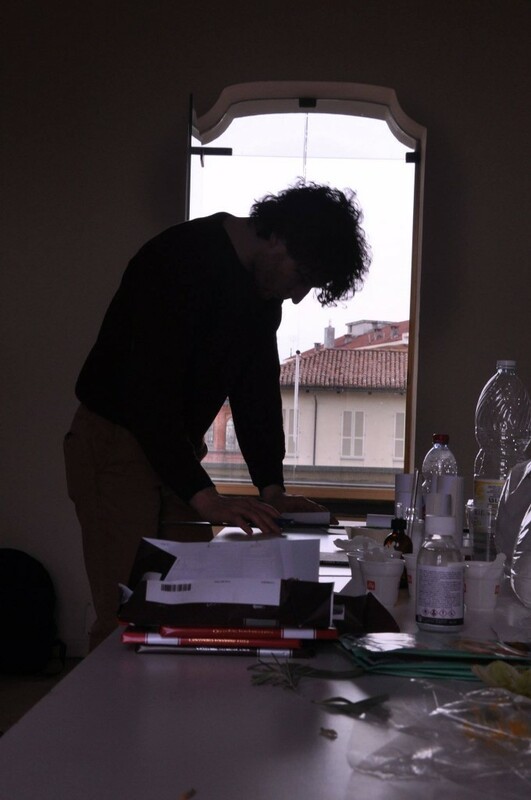 The seven participating artists during a workshop at Castel Rivoli, Torino. 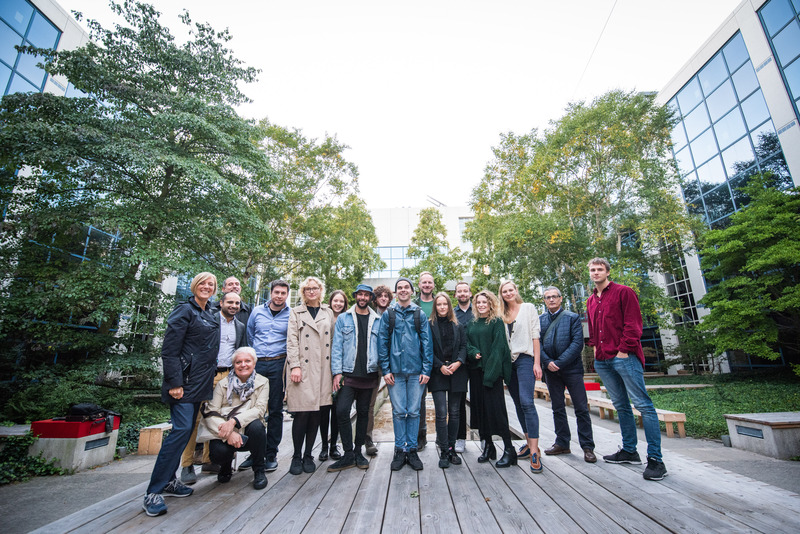 From left to right: Francesco Cozzolino (coordinator TdS), Sara Rossini (Castel Rivoli curator), Simone Mangione (IT – AMuSE artist), Ivana Volpe (IT – AMuSE artist), Roderick Camilleri (AMuSE Artistic Director), Vera Woldhek (NL – AMuSE artist), Carmela Cosco (IT – AMuSE artist), Daniele Fabiani (IT – AMuSE artist), Stefan Spiteri (MT – AMuSE artist), Mykolas Sauka (LT – AMuSE artist). The Artistic Director Roderick Camilleri from Malta guided the artists during the first week of mobility and up to March 18th. 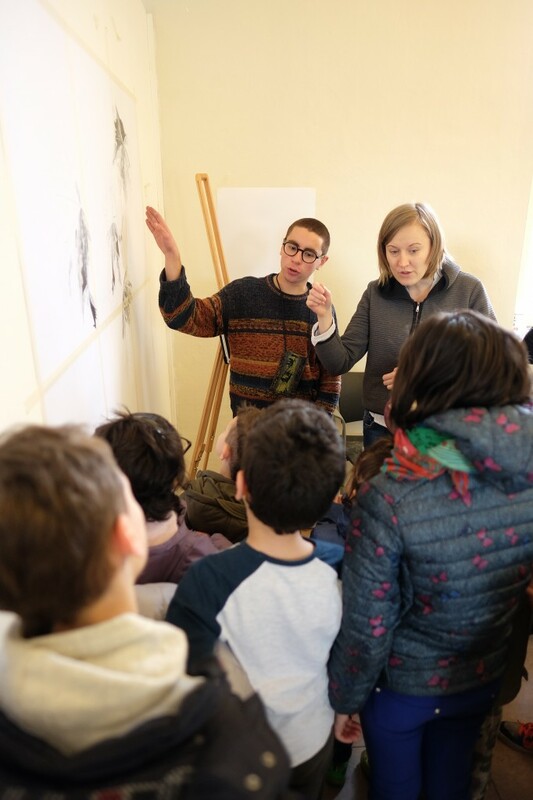 With him, two coordinators/tutors from Terre dei Savoia (Francesco Cozzolino and Maria Laura Silano) supported the seven artists through their daily activities. 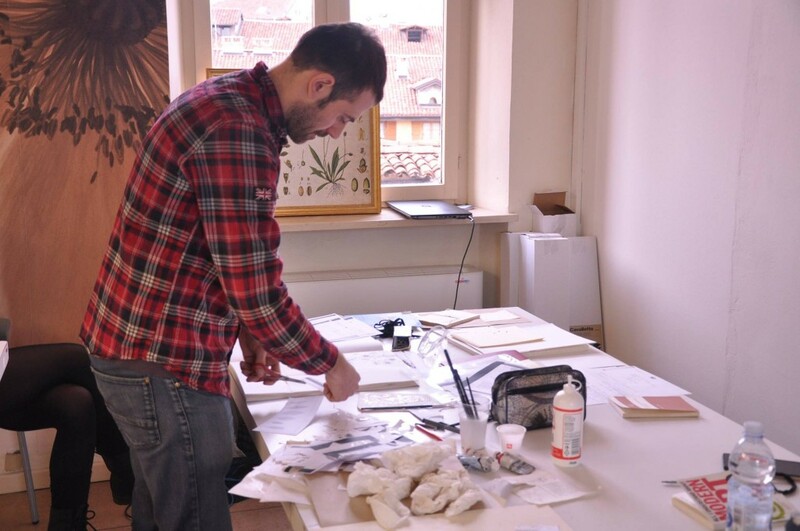 Daniele Fabiani at MUSES working on his collages and drawings. Simone Mangione experimenting with edible sculptures. 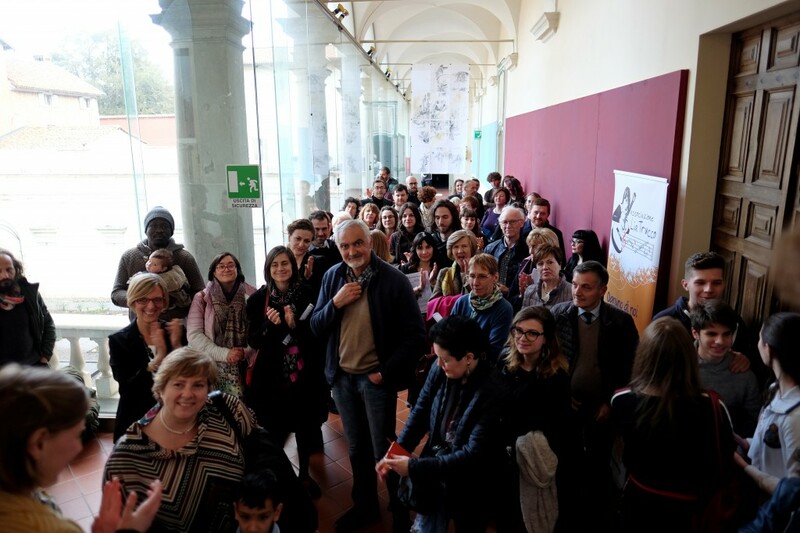 The programme, which was organised by Le Terre dei Savoia, was supported by A.Titolo association, namely by curators Francesca Comisso and Luisa Perlo, who offered their expertise and support to support the artists. 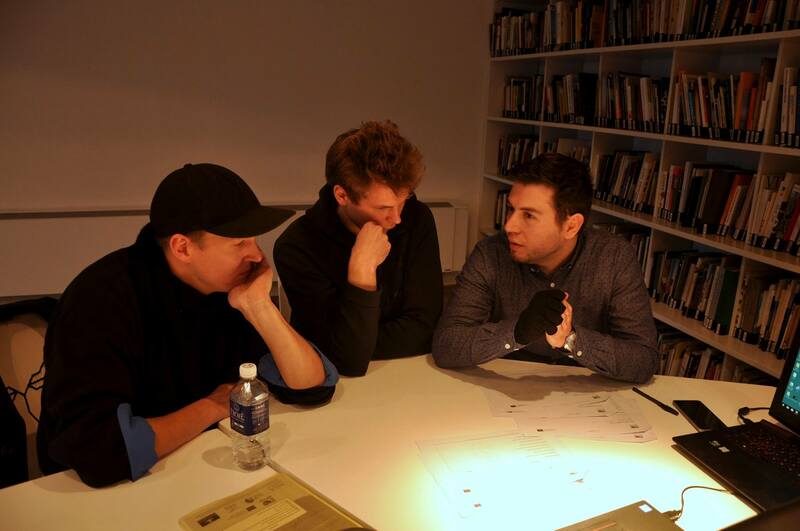 They also conducted workshops which guided the artists in the process of research. Curators Francesca Comisso and Luisa Perlo from A.Titolo Association giving their feedback to artist Mykolas Sauka. 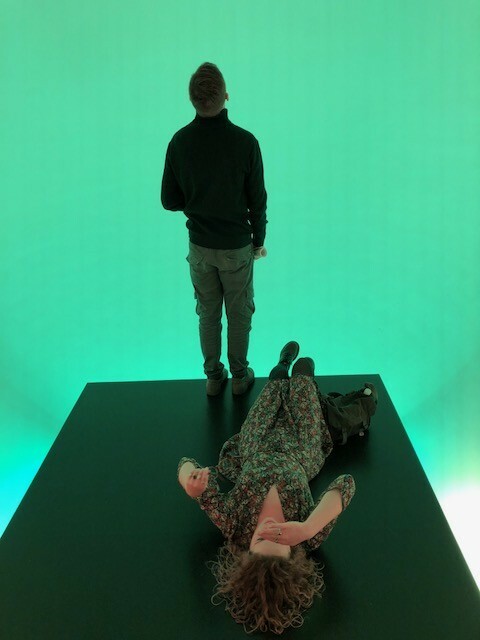 The artists had the opportunity to visit major museums and art spaces such as Castel Rivoli, Fondazione Merz and Alberto Peola. 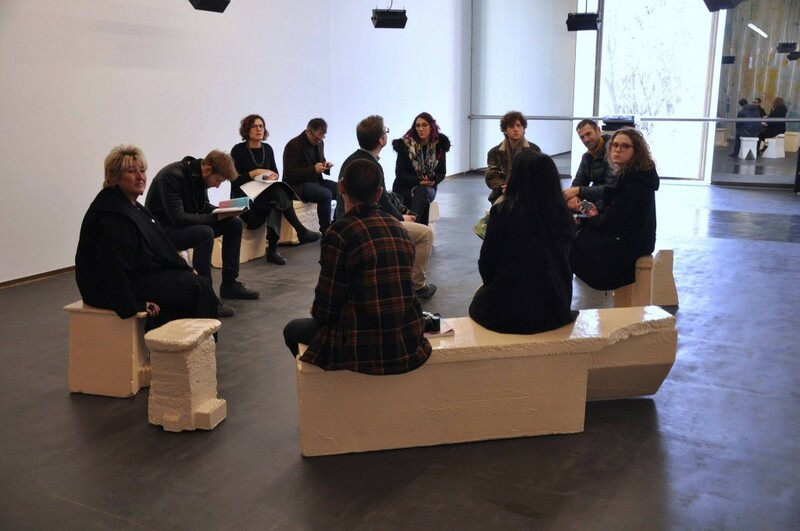 Experts in charge of the aforementioned spaces guided the artists and engaged in discussions with them. 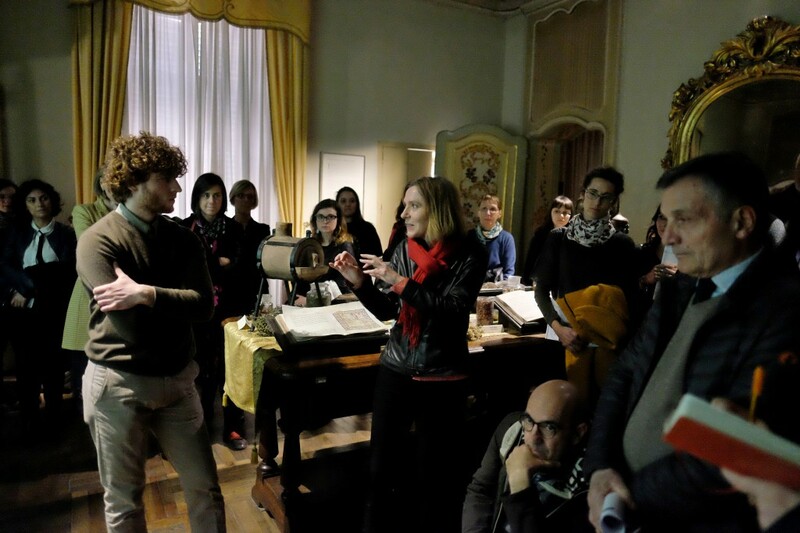 Moreover they visited world-renowned events such as the exhibition “Fontana e Manzoni” at Castello degli Acaja in Fossano. March 20th – Special Open Day dedicated to people with special needs. The activities included a Tactile Workshop (Collagraphs: Monoprints) and an Olfactory workshop (Painting activities with essential oils). March 21th – Social Open Day dedicated to people from disadvantaged backgrounds. 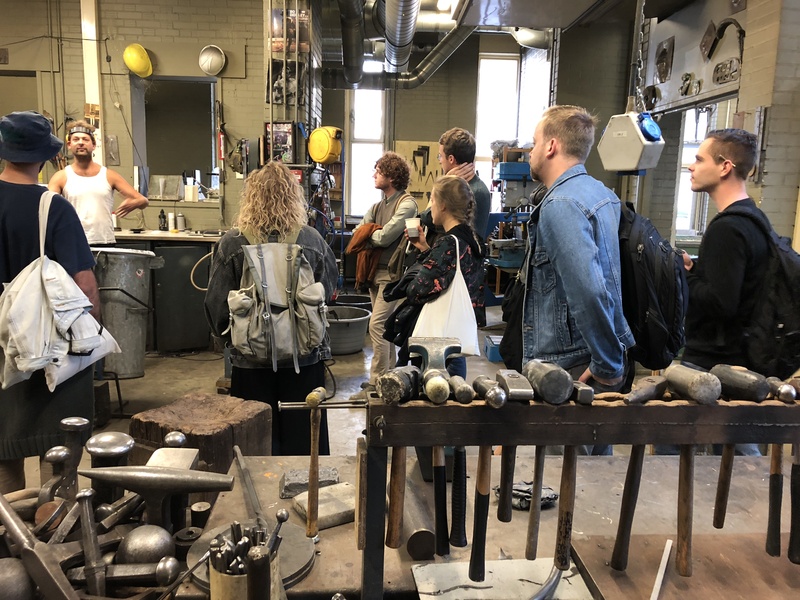 March 23rd – Students Open Day – an open session to which many curators and experts participated in order to discuss the artists’ works and help them familiarise themselves with the world of contemporary art. Stefan Spiteri and Maria Laura Silano during Students Open Day. Moreover, during the weekend of March 24th and 25th the “Giornate di Primavera” of FAI (Fondo Ambiente Italiano) were held at Muses. More than 600 people visited the atelier and the exhibition spaces where the artists executed their work. 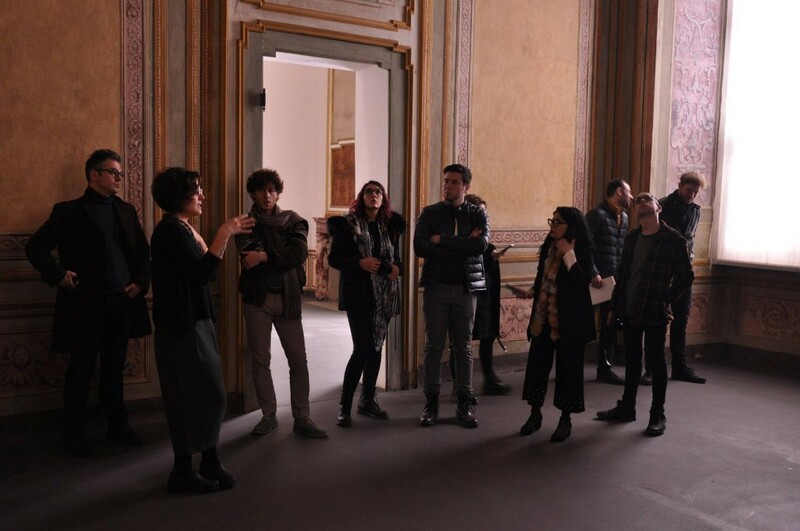 The residency came to an end with an exhibition held on March 29th, where the final artworks were presented to curators, art experts, journalists and to the general public and showcased at MUSES Accademia Europea delle Essenze. Exhibition opening at MUSES, Savigliano on 29 March 2018. 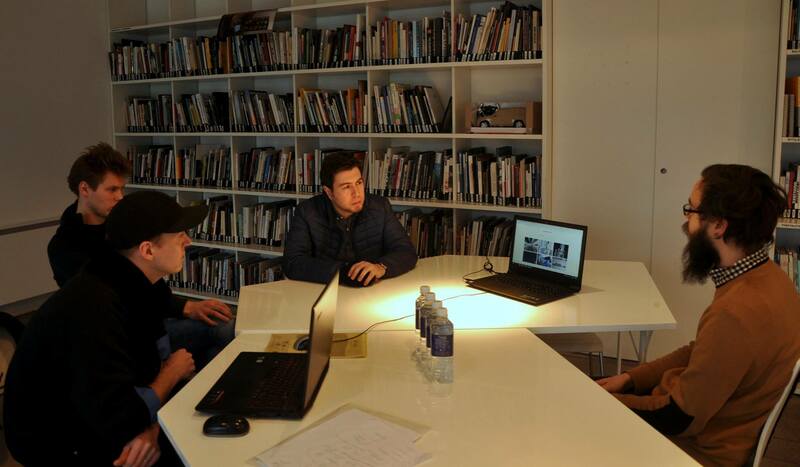 5/1/2018 – Selection process for 4 Lithuanian artist held at the Contemporary Art Centre, CAC – Vilnius.